Friends, if you follow any of our social media networks you would have heard that we are holding a GIVEAWAY and a pack of our original stationery is about to leave the studio and fly to a surprise destination anywhere in the world. With the total value exceeding $55AUD, it’s the perfect prize for any paper and snail mail lover and features stationery from past and future Mishka Mail kits. You have just 4 days left to ENTER, so hurry and please show your support to Danielle of “See, Shop, Love!” for hosting this giveaway and reviewing March’s Mishka Mail kit. Fans of One Tree Hill, rejoice! I am so excited to share with you what I’ve been busy working on these last few months. My “Tree Hill is Home” Collection of postcards and wall prints is finally unveiled today!! Next month I will be making the long journey over to Wilmington, North Carolina, for the One Tree Hill Convention, entitled “Return to Tree Hill 2”. It will be my very first time in the US and I can barely contain my excitement. I’ve been in love with the TV show, One Tree Hill, ever since I watched the first episode back in 2003. It’s my comfort show, it’s seen me through my highest and lowest times and I’ve grown up watching this show, laughing and crying through all its 9 seasons. I am going to be meeting the stars of the show, the people I look up to so much, and it’s going to be an absolute dream come true for me and all the fans out there. 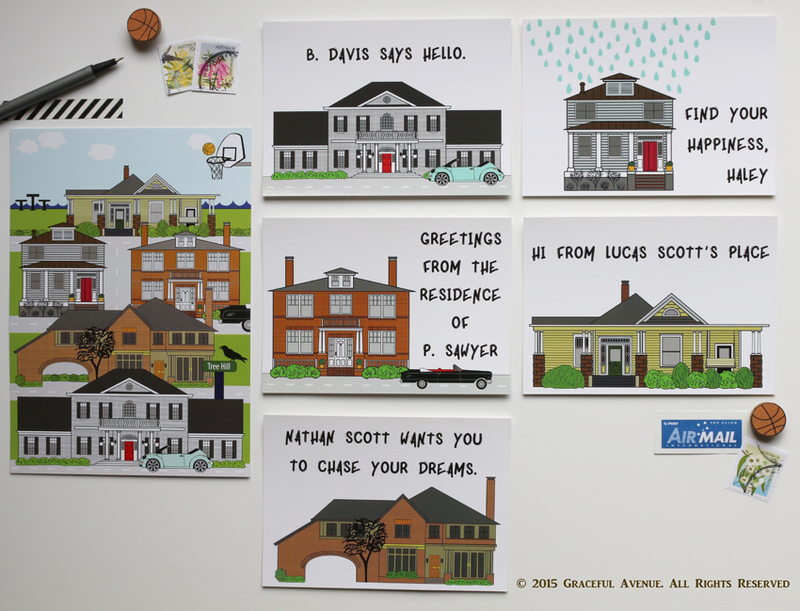 For this collection, I have illustrated the homes of each of the original five main characters – Lucas, Peyton, Nathan, Haley and Brooke, because I noticed that there’s a real gap in the market for beautiful, designer postcards depicting this beloved TV show. All five homes are featured on the glossy and very sassy wall print. Our postcards are not currently stocked in any boutiques in Wilmington, NC, but we are definitely on the look out for gift shops in the area to carry our line. Please get in touch with us if you’re interested in stocking the “Tree Hill is Home” Collection! All postcards and the print are available for purchase on Pitchi here. If anyone wants to receive their order in time for the Wilmington convention on August 7-9, 2015, please order now! If YOU are a fan of One Tree Hill and will be attending a convention either in Wilmington, Paris, Montreal or Brazil, send an autographed postcard to your good friend to brighten up their day! All designs and images are copyrighted. It is forbidden to copy, replicate and/or redistribute them under any circumstances. 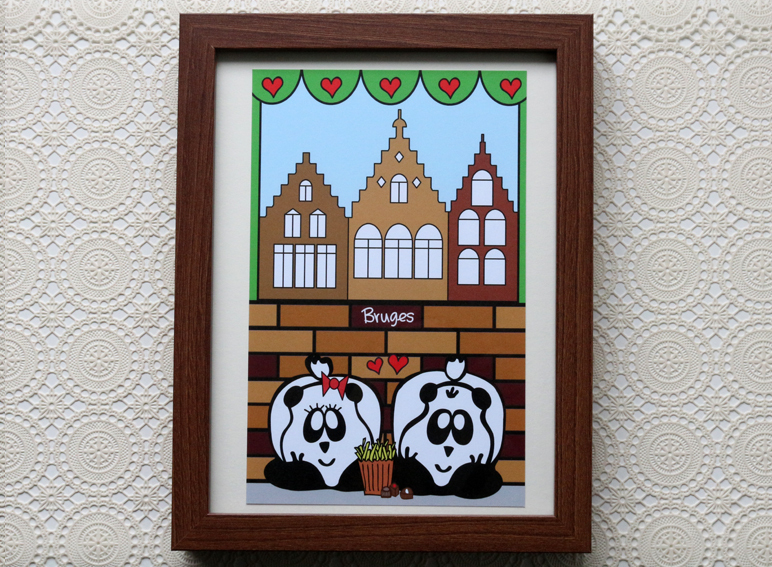 It’s been a long time coming and today I’m so excited to share our newest products, prints of Mishka in four of my absolute favourite cities of Europe – London, Paris, Barcelona and Bruges. Frame them, pin them up, use some washi tape and stick them to your wall. 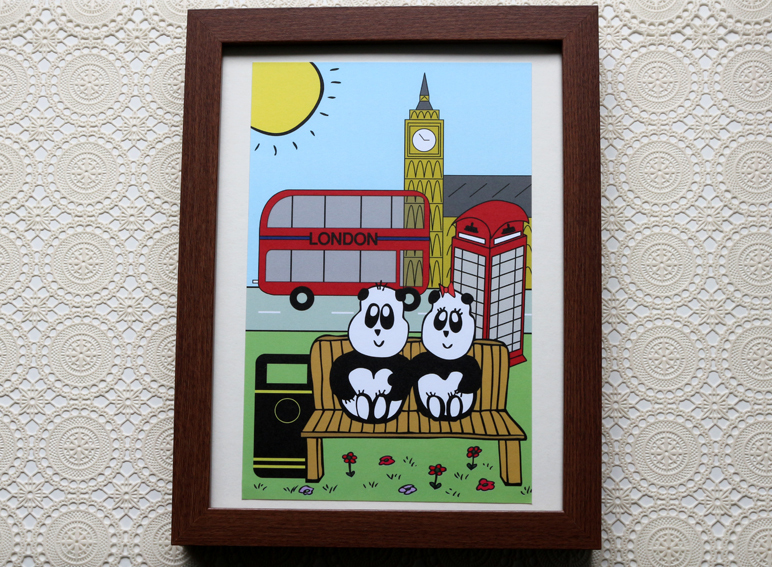 They look super fresh and funky in any space and suit a child’s nursery or even a studio/work space. 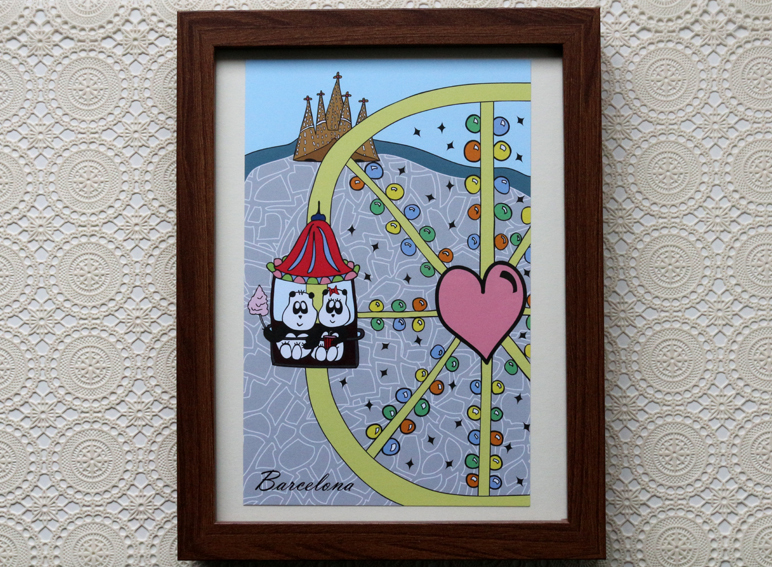 We’ve made a Pitchi video where everything is explained and you can purchase a print online. 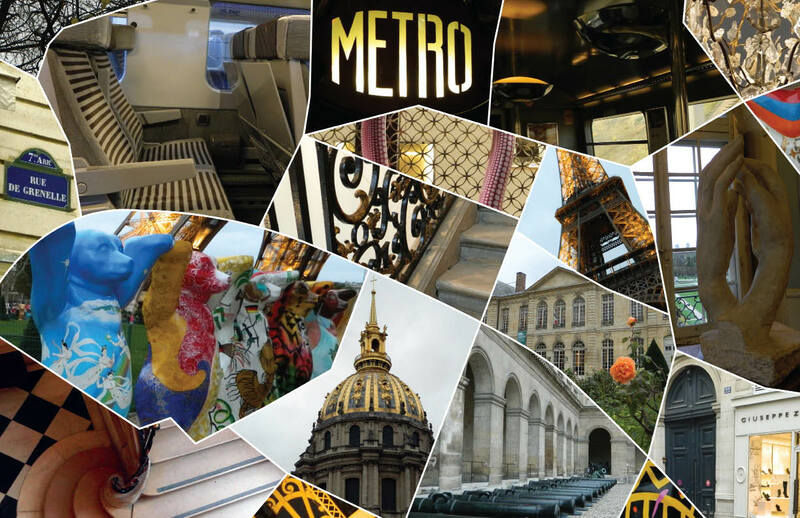 We are spreading the Christmas cheer and giving all our fans and followers a special 30% discount off our creative magazine about Paris. 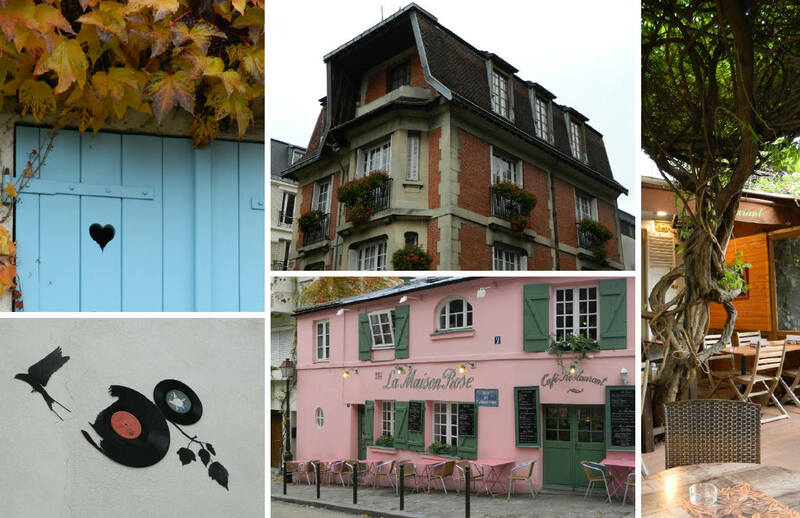 Until 23:59 AEST December 7th 2014, purchase our “Feeling the Heartbeat of Paris” Magazine for only $31.50 AUD (excluding GST and Shipping). 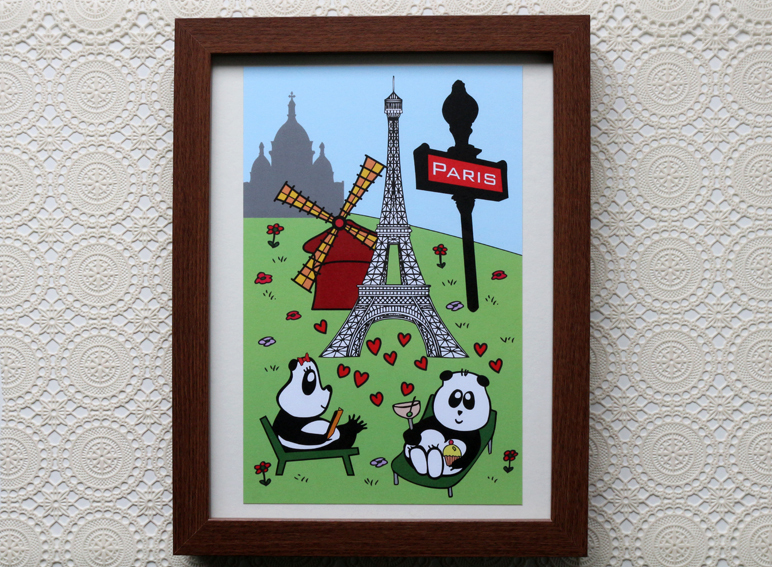 Buy the perfect Christmas gift for your Paris-loving friend or family member!